TRADITION OF QUALITY. 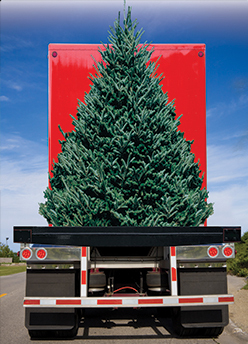 SIMPLY THE BEST TREE RETAIL SEASONAL PRODUCT AVAILABLE! With its rustic, natural beauty and distinctive fragrance, a KRISS KRINGLE Christmas Tree makes Christmas glow in the true spirit and tradition of the holiday season. KRISS KRINGLE CHRISTMAS TREES are plantation grown, carefully cultivated and cut at precisely the right time to assure lasting freshness and enjoyment over the holiday season. SELL KRISS KRINGLE CHRISTMAS TREES. CELEBRATING TRADITION, QUALITY AND SERVICE SINCE 1950, COAST TO COAST. The KRISS KRINGLE brand stands for quality, service and reliability. Strong KRISS KRINGLE branding helps support all our Independent Dealers and increase sales. 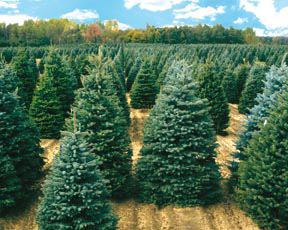 Colourful tags and banners identify your retail outlet as suppliers of the best Christmas Tree available. Flying the Kriss Kringle brand banner will increase your exposure and help build traffic on your lot! Seal the deal with the best tree available... a KRISS KRINGLE BRAND CHRISTMAS TREE! All of our KRISS KRINGLE trees are shaken, then netted to prevent damage from shipping. They receive our Somerville seal of approval the KRISS KRINGLE tag, and are dependably delivered to your doorstep. NOW AVAILABLE.TALK TO US ABOUT PRIVATE LABELLING! Quotes available on request. We ship coast to coast – palletizing available. Our experts can help you tailor an order to fit your group and your customers. NOT A KRISS KRINGLE RETAILER? Get your no obligation package to simple, successful holiday season sales. Call now or email to become part of the KRISS KRINGLE sales success story.